Today Intel officially launches the next generation rack, tower and blade server CPU – the Intel Xeon Scalable Processor (SP), formerly known as “Skylake.” Before you invest in this next generation compute, there are a few things you need to know. 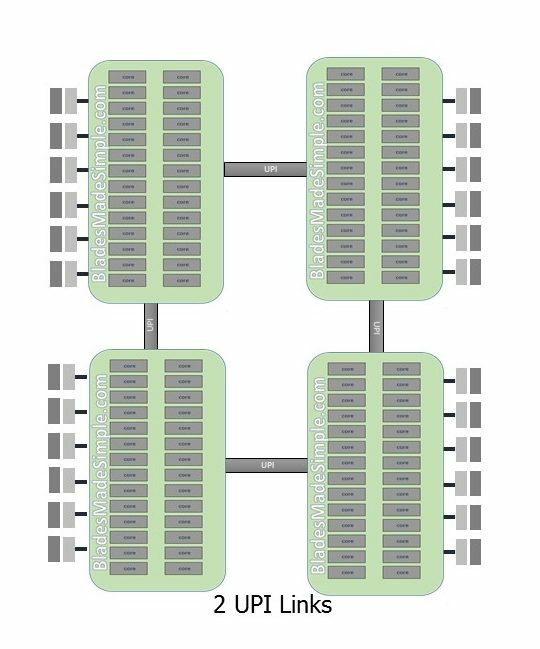 The first big news is that Intel is combining all of their server CPU offerings into a single family. 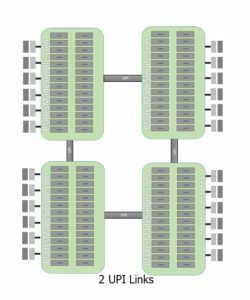 Before today, there was the Intel Xeon E5-2600 v4 family for 2 processor servers and the Intel Xeon E5-4600 v4 AND the Intel Xeon E7 families for 4 processor servers. With today’s launch, Intel starts the countdown for the eventual merge of 2 processor and 4 processor stacks into the Intel Xeon SP. Another change within the Intel Xeon SP is the revision of the QPI, or QuickPath Interconnect. With the Xeon SP, Intel introduces the UPI, or UltraPath Interconnect with boasts speed of up to 10.4 GT/s bandwidth (vs the previous generation of 9.6GT/s. 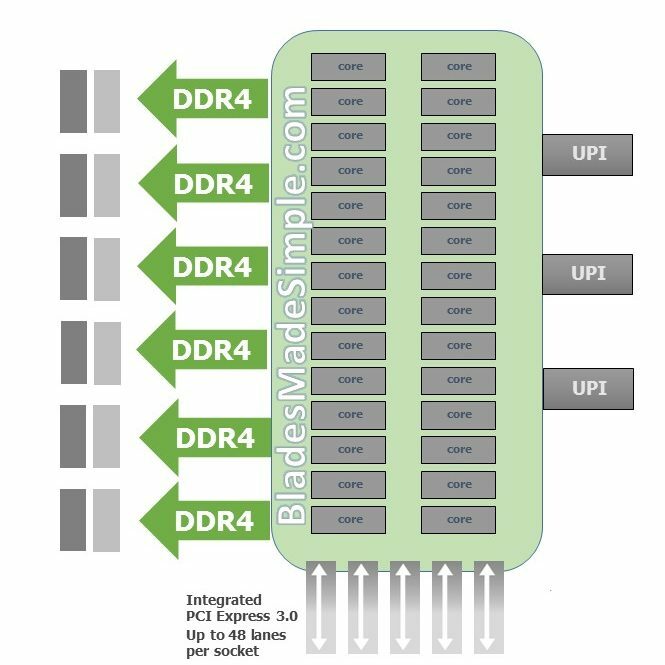 The UPI connects CPUs to each other, and with this generation of server, certain CPUs will offer 3 UPIs. Where this gets interesting is in the 4 socket server offering. 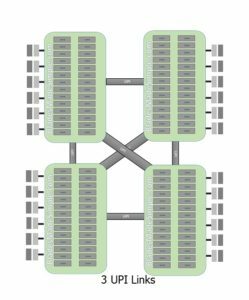 If you choose a CPU with only 2 UPI connections, you’ll get a “ring” topology. 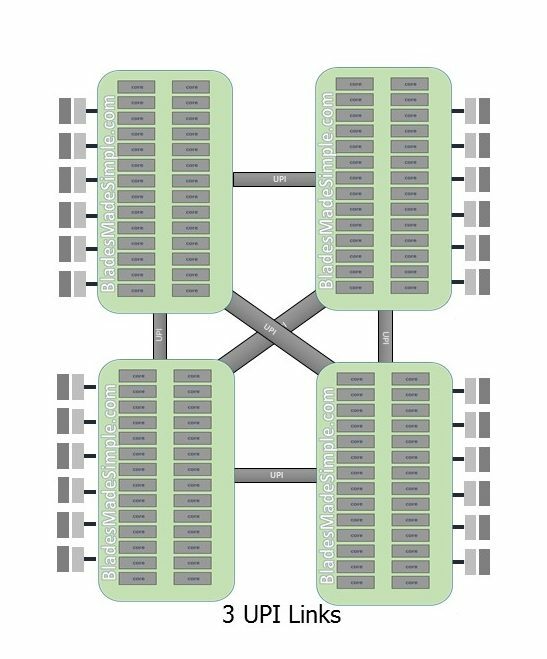 However, if you purchase a CPU with 3 UPI links, you’ll get a “cross-bridge” topology. As you can see, choosing the right CPU is vital to insure you have the best performance, which leads me to the next section. Must choose specific SKUs to get high memory. 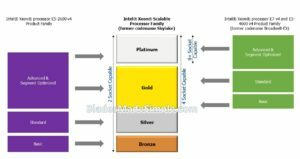 Unlike the processors before it, the Intel Xeon SP will not allow for more than 768GB of RAM per CPU unless you purchase a processor wit the “M” designation (i.e. Intel® Xeon® Gold 6140M). This is extremely important because it’s hard-coded on the CPU. If you buy the 6140 (without the “M” designation) and load more than 768GB per socket, expect the system to not boot. Make sure to look into your crystal ball and insure you know the long-term memory requirements before you pick your CPU. Your memory standards are likely to change. Apache Pass will be in the next release – and you’ll need a new CPU to get it. 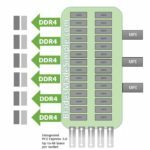 In summary, the Intel Xeon SP promises a lot of performance gains over previous CPU families, but make sure you take the time to work with your partner and vendors to properly review the offerings. Thanks for taking the time to read this. If I’ve omitted some crucial information, or provided inaccurate information, please leave a comment below or email me at kevin AT bladesmadesimple.com.